OVERLOOK DIGITAL came into being in 2008 when award winning video maker, Tom Colello acquired the web hosting and design portion of Creating Genius. With the blossoming of video on the web and the utilization of web pages for educational and commercial functions previously served by video; this direction became obvious. Since then we have joined forces with Kiersten Armstrong a highly talented and creative designer/programmer and Ellen Emmerson an expert at dynamic web site programming and Search Engine Optimization. Much web site development work is done in association with 15 Degrees (formerly GP Clarke Advertizing) a Manhattan based full service advertising and public relations firm. 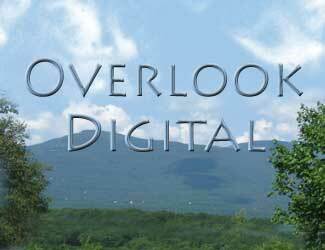 Overlook Digital’s goal is to provide creative and effective web and media services to commercial, educational and not-for-profit enterprises. We don’t want to be the biggest company. We just want to be the best value and most personal. I have been working in communications since the 1980’s. I have done extensive work for New York State government agencies including the Office of Mental Health, Department of Corrections and Bureau of Municipal Police. Commercial cliients include many small businesses as well as large corporations such as Westinghouse and Tropicana. In 1987 I became a partner in Reelizations Productions which focuses on developing educational video and supplementary material for the substance abuse treatment field. In 1993 we received a $550,000. Small Business Innovative Research Grant from the National Institute of Drug Abuse to produce Beat the Street, a five part video with 171 page manual. This award winning work is widely considered to be the best of its kind and is used nationally and internationally. Check out our video page for examples of my work. The success of Beat the Street allowed us to produce more educational material and resulted in the creation of Reelizations Media (make link), a distribution company that handles our work as well as that of several other producers. I have managed this e-commerce web site for over a decade. This experience has not only given me knowledge and insight into web creation but also into other business functions necessary to run a web based business. This includes order fulfillment, inventory management and search engine optimization. When not working I am playing tennis, playing saxophone or playing with the grandkids. I help my team and the client turn ideas into reality. It is my goal to get it right the first time, every time. I am an accomplished sculptor, video artist and art teacher. I pride myself on creating easy-to-use Web-based systems with functionality that go beyond what most clients think is possible. I specialize in ecommerce, content management, form data capture, data calculations, reporting, and database management. I am an avid sports car enthusiast and animal lover. I volunteer weekly for the Walden Humane Society. My love for animals has led me to creating numerous Web sites for animal welfare groups.